There is no way to escape the stress of life and the responsibilities beholden to us, but there is a way to make these burdens easier to handle, by taking the time to relax and unwind with a massage. There are numerous benefits to receiving a hot stone massage here at Synergy Massage and our London facility. To learn the positive effects of this massage method, check out what we have to say below! Many people share a common concern when it comes to hot stone massages, mainly wondering if this form of therapy hurts. The answer is no, as the stones are only heated to a comfortable temperature and are not meant to burn or scald. 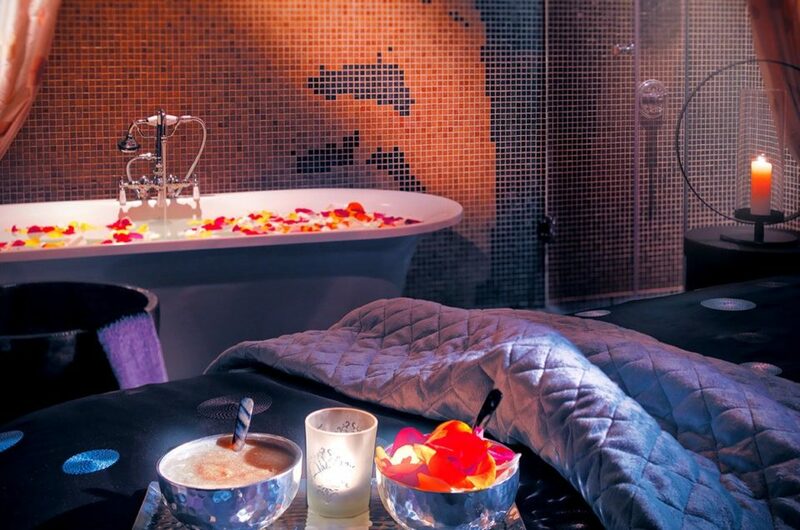 Volcanic rocks are used as they are able to retain the heat better, giving off a pleasant warmth and easing tension and stress carried within the body. Stones can be placed on the back, stomach, chest, face, hands, and feet. They can also be held in the hands of our highly skilled registered massage therapists and used in massaging techniques to produce the same positive effects in the body. 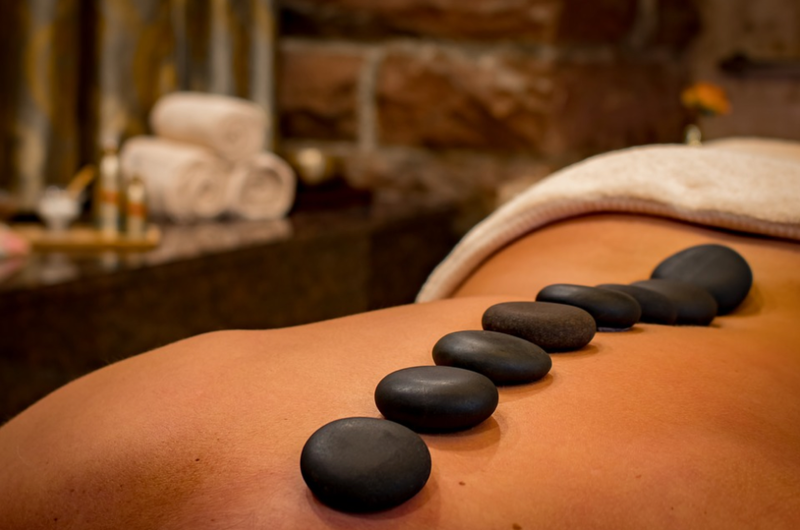 Decreased pain and muscle spasms are positive side effects to hot stone massages. The heat from the stones can relax tight muscles, while the massaging effects increase circulation and oxygen to those muscles. This form of therapy is excellent for people with low pain thresholds, as the hot stones enact the positive effects of deep pressure therapy without the pain of deep muscle manipulation. Massages can improve the immune system as they are known to lower blood pressure and increase blood circulation and oxygen throughout the body. The heat from the stones works to raise your heart rate and dilate the blood vessels, promoting overall blood flow. With the regular use of hot stone massages, the symptoms of autoimmune diseases should lessen. Pain from chronic conditions such as fibromyalgia, arthritis, and carpal tunnel syndrome can be alleviated due to the boost in immunity and all over muscle relaxation. London residents interested in obtaining all of these hot stone massage benefits and more should come down to Synergy Massage and our local facility at 1635 Hyde Park Rd today. Please click here to contact us online or by phone to learn more about our relaxing and healing massage services, or to book your appointment right away!